These pads are one of several types available from Yokkao. These curved pads have – as the name suggests – a curved striking surface, which makes them great for catching kicks at different angles. We’ve been interested in these pads ever since spotting them in our November 2016 New Fight Gear round-up, and I was fortunate enough to be able to get a pair for myself a few months after. These are part of Yokkao’s Vintage range, which comes in either red or blue, with a vintage stamp style wordmark on the front. The red and especially blue on this range look vibrant, but with a slightly faded feel which is hard to describe. Either way I have to admit that the visuals were a huge drive for me getting these pads as opposed to any of Yokkao’s any other pads. As well as the main logo, the front of the pads are stamped with Yokkao’s quality stamp with the date they were produced, and down the sides of the pads the word ‘YOKKAO’ is printed on in white with a slight black outline. Both of these are design features found on almost all of Yokkao’s other Thai pads. Other than the main colour, all of the stitching, handles and straps are picked out in black, which contrasts really nicely with the colourful base leather. 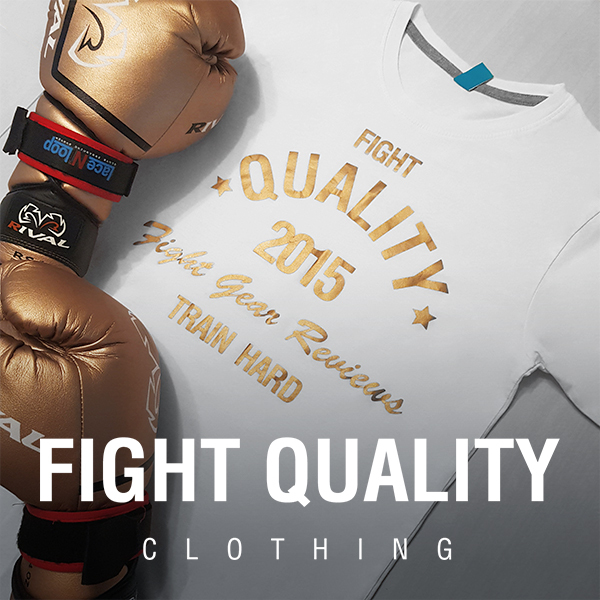 The best thing about this range is that Yokkao have a whole range of gear in the same matching styles. Want a matching belly pad? Gloves? Shin guards? Shorts? You can get all of them in the same colour, which is absolutely awesome for anyone who loves for their gear to match. The leather on these is pretty solid, and it feels similar to the Yokkao Boxing Gloves we reviewed a little while back, which is always a good sign that they’re using top notch materials. Where the material on the front face of these pads is curved, there’s a little bit of wrinkling and bulging to them. It seems to have gotten better after use, and presumably over the years will become un-noticable, but when new it’s a little it disappointing, especially when one looks worse than the other. Whether this is a common issue, or just something that’s occurred on this pair (possibly while they were squished in a box for the delivery process) I can’t say. On the good side though, it’s purely a cosmetic issue and doesn’t really make any difference to the use or durability in any way. I have noticed that after some use, there are a few bits which look like very minor ‘flaking’ around one edge. Based on the position I’m assuming it’s as a result of toes hitting the pads on kicks and just catching on the leather. These pads are designed to withstand punishment, with reinforced stitching, with super thick external stitches around the back edge, and steel rivets pinning the handles in place. There’s no reason why these should be falling apart any time soon. Overall the pads seem pretty well made, and feel like they’d be able to stand up to almost anything you can throw at them. The pads feel really nice to hit. Unlike some pads, they don’t feel too hard when you first get them, so you can smash away without it being too hard. They’re also not too soft though, so it’s still really easy to smash punches or kicks in with full power. I quite like the curvature on the face of these pads too. If you come in at the wrong angle, you can still make a nice connection, but it also means that when you’re kicking, it’s a lot easier to hit the same central part each time. When ordering these pads you can choose between sizes S to XL, which means you can get whatever size suits you best. Mine are on the smaller side, although they still have a great amount of padding to them. In terms of dimensions they’re slightly smaller than most other pads we’ve tested, but not quite as small as the Revgear Curved Thai Pads. In terms of thickness, they’re probably on par with most other brands, possibly a little thicker than the Fairtex KPLC2 Curved Thai Kick Pads if that gives you any idea. something which irritates me sometimes with Thai pads is when the handle feels too close to the pad, and you end up getting your fingers crushed on every kick. On these, the handle sticks out a little more, and is sturdy enough that there’s always a gap between the handle and the padding, so this isn’t an issue. The way they’ve designed this includes a thick amount of padding where the forearm sits, so that the whole arm is lifted away slightly and the hand can then sit in a natural position. This raised padding is slightly softer which also adds a little comfort when strikes hit the pad, also upping the amount of grip at the same time. I’d also say to be careful with the velcro on these, there’s a slight section of exposed velcro on one side, which if you wear the pads so that these are on the inside, could easily catch on clothing – especially if you wear soft or breathable clothing which catches easily. Yokkao have priced these pads at $172.00 which works out at roughly £137 for those of us in the UK. This is probably a little above average, with most of the pads we’ve reviewed sitting around the £100-£120 mark. Thhey’re still quite a bit cheaper than the Twins KPL-12 Kick Pads, which come in at around £160. I feel like you’re paying a little extra for the brand and visuals a little bit here, but at the same time these are still some really nice pads to use, and would be a great investment if you’re looking for a new set of pads.